The 'Cinderella' Dress - a remake of last year's 'Carolina' Dress, only this year it's not peach. It is pale blue and white, which made me think of Cinderella from the old Disney classic. I have also been researching the history behind 'Cinderella' and many other fairy tales. It has been fascinating, and I can't wait to share some of my findings with you! The 'Antonia' Dress - named after Marie Antoinette (her German name was Maria Antonia). I have had a beautiful piece of fuschia damask fabric in my possession for several years, and I have always wanted to do a Georgian, or Colonial dress out of it. I finally designed a dress that I thought best fit the fabric. Unfortunately, there will only be 4 of these dresses because of the lack of material, but I am very excited about how the design is turning out. 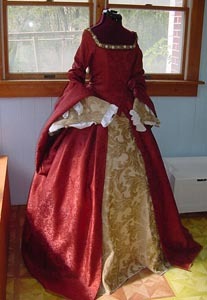 A tudor-style dress. It will be a beautiful combination of colors with forest green, gold, and brown. I believe I will call it the 'Anne Boleyn' Dress, but I am not sure yet. A new style of walking dress for the Civil War. I am experimenting with covered buttons for this one, as the aqua color I am using is very hard to find! I don't know what I will call this dress - Mary Chesnut lived in the South during the war and kept a very detailed journal. Her journals have given great insight into the political goings-on in the 1860's. I might name the dress after her! A mid-1880's walking dress. I found an old design of mine a few weeks ago and I would like to recreate it. I am also working on a mid-1890's dress - leg-of-mutton sleeves and all! I am also going to try to do a blog post every week. I am not much of a writer, but I hope you all enjoy reading about my little endeavors! A Tudor Outfit - in progress! I have been frightfully busy over here in Virginia - working 2 jobs and going to college will do that to you. 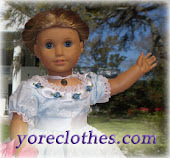 I am just now getting to new Spring 2012 designs (I usually start this process in February). I'm sorry for the lack of blog posts and anything else! But, I thought it would be fun to let you all know what I am working on today. I have wanted to do a Tudor outfit for a long time - despite the fact that I think the fashions of the 1500's are ridiculous in many ways. However, I am always excited about new designs! It keeps my life with my business interesting. I found a beautiful fabric at the local fabric store that I thought just screams Renaissance! I have been researching for months to find the best way to use it. And just for the record - the entire process of finding a design, fabric, and eventually making the dress and getting it out on the internet usually takes months. It's a long time. I'm doing a classic Tudor dress design that will be mostly a deep green. It's really a lovely fabric. However, I thought that the outfit wasn't complete without a headdress! 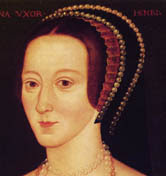 I have decided on a French Hood, a style that was made popular in England by Anne Boleyn. Thus, the outfit will be called the Anne Boleyn Dress. I can't wait to make this and get it out on my website so you can all see it!